Home » Community » Where can I find kid-friendly Easter activities in the Houston area? 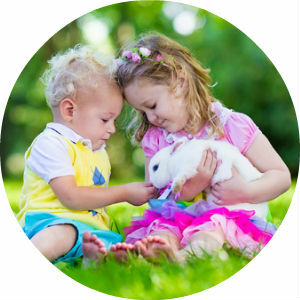 Families looking for Easter activities and events to help celebrate Easter with the kids have plenty of opportunities in the Houston, TX area. We have listed some of our favorite events and egg hunts happening in the area for 2019 below. Just 20 minutes from downtown Houston is the “Biggest Free Easter Egg Hunt in Texas” complete with face painting, food trucks, music, and the Easter Bunny. A vendor market will also be available on the grounds. A scavenger hunt sends kinds throughout the museum gathering clues that lead to Easter eggs in this unique Easter event put on by Fort Bend Teen Service League. This event is likely to sell out. Anyone interested in attending should purchase their tickets as soon as possible. The Hermann Park Easter event offers a morning full of family-friendly activities including breakfast, an Easter egg hunt, a ride on the park’s railroad, and a complimentary pedal boat ride around the lake. Space is limited so interested parties should book their tickets in advance. The Woodlands Children’s Museum has planned a variety of hands-on activities and crafts for kids on the Friday and Saturday leading up to Easter. Guests can expect a visit from the Easter bunny, an egg-dying station, and other Easter crafts in addition to the activities regularly found at the museum. The Coast to Coast Motors blog is your go-to source for information on seasonal activities and events happening around the Houston area. Be sure to stop back the next time you are looking for things to do in the area. This entry was posted on Tuesday, April 2nd, 2019 at 6:49 pm	and is filed under Community. You can follow any responses to this entry through the RSS 2.0 feed. You can skip to the end and leave a response. Pinging is currently not allowed.